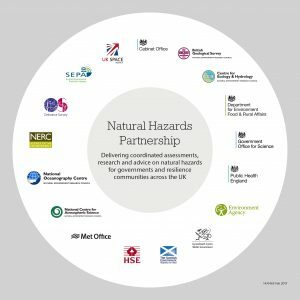 The Natural Hazards Partnership, established in 2011, provides authoritative and consistent information, research and analysis on natural hazards for the development of more effective policies, communications and services for civil contingencies, governments and the responder community across the UK. Our challenge is to broaden the focus of natural hazards risk management from what has been predominately an early warning system towards a more holistic and integrated approach, encompassing more emphasis on risk reduction and prevention. We are already gaining international recognition as world leading. Initial findings from the United Nations Office for Disaster Risk Reduction facilitated peer review of the UK's approach to resilience, highlighted the Natural Hazards Partnership as a model "other nations may wish to adopt". 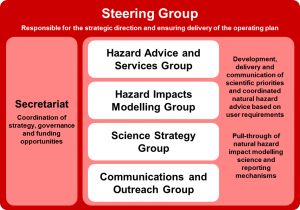 Furthermore, influential organisations, such as the European Centre's Joint Research Centre, Organisation for Economic Co-operation and Development, World Health Organisation and World Meteorological Organisation are acknowledging the role of the Natural Hazards Partnership and the importance of its work. 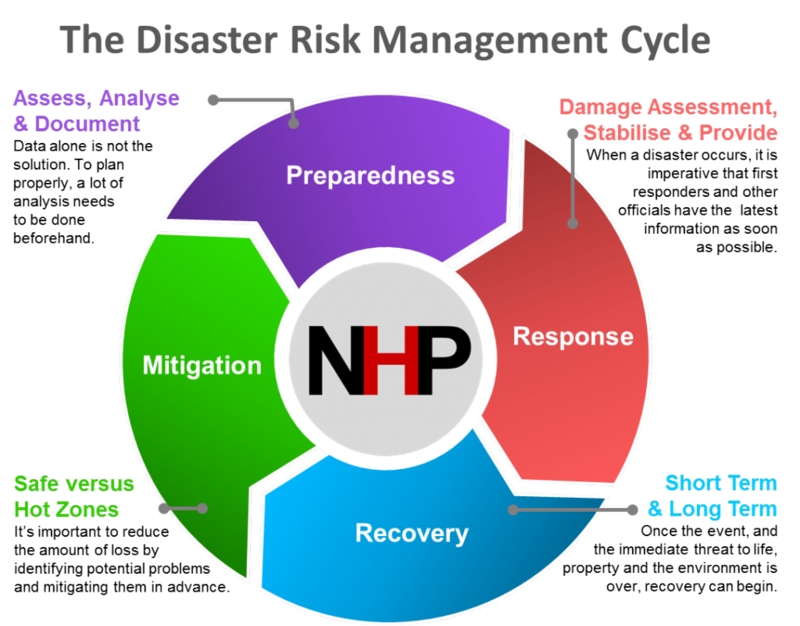 Disaster risk management describes the systematic process of using administrative directives, organisations, and operational skills and capacities to implement strategies, policies and improved coping capabilities in order to lessen the adverse impacts of hazards and the possibility of disaster. The figure below demonstrates the key tasks within disaster risk management. We contribute to the Disaster Risk Management Cycle in the Preparedness and the Mitigation tasks. The knowledge and capacities developed by governments, professional response and recovery organisations, communities and individuals to effectively anticipate, respond to, and recover from, the impacts of likely, imminent or current hazard events or conditions. The provision of emergency services and public assistance during or immediately after a disaster in order to save lives, reduce health impacts, ensure public safety and meet the basic subsistence needs of the people affected. The restoration, and improvement where appropriate, of facilities, livelihoods and living conditions of disaster-affected communities, including efforts to reduce disaster risk factors. Current assessment of the risks associated with natural hazards is focussed on the extent and magnitude of the hazard itself. However, often it is the impacts to people, property and our surrounding infrastructure that are more important and more meaningful. The Natural Hazards Partnership is leading the way in moving from a hazard-based focus to a more impact-based approach. This is done by developing our understanding of the interactions between the people and objects that might be exposed to a hazard. 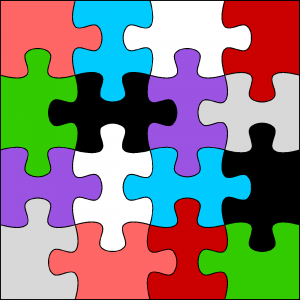 Through extensive collaboration within the Partnership, the diversity of scientific expertise allows us to address highly complex situations and ensures that we work as efficiently as possible to produce scientifically robust and practically relevant models and information for emergency responders. We work with a wide range of organisations, such as ResilienceDirect, to ensure that our science gives real benefits to practitioners.